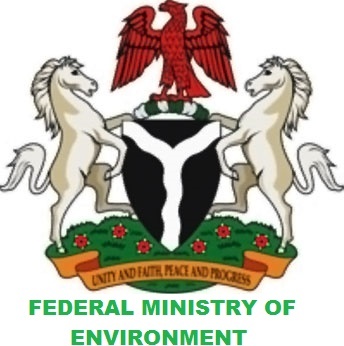 In accordance with the provisions of the Environmental Impact Assessment (EIA) Act, CAP E12 LFN 2004, which makes it mandatory for proponents of all new major development activities to carry out Environmental Impact Assessment of their proposed project, the Federal Ministry of Environment hereby announces a Twenty-One (21) working day Public Notice for information and comments on the Environmental, Social and Health Impact Assessment (ESHIA) Draft Report of Works and Main Site Preparation for the Olokola LNG Project submitted by Olokola Liquefied Natural Gas (LNG) Free Zone Enterprise. Headquarters, Ogun Waterside Local Government Area, Abigi, Ogun State. Headquarters, Ilaje Local Government Area, Igbokoda, Ondo State. Ogun State Ministry of Environment Office, State Secretariat, Abeokuta, Ogun State. Ondo State Ministry of Environment Office, State Secretariat, Alagbaka, Akure, On do State. Federal Ministry of Environment Office, Federal Secretariat, Kuta, Abeokuta, Ogun State. Federal Ministry of Environment Office, Akure, Ondo State. Federal Ministry of Environment Library, Conservation House (Green Building), Plot 444 Aguiyi Ironsi way, Maitama, F.C.T. – Abuja. Federal Ministry of Environment, Environment House (Brown Building), Independence Way, Central Business Area”, F.C.T. – Abuja. The project involves the construction and operation of a Liquefied Natural Gas (LNG) facilities in the onshore and offshore areas of OKLNG FZE. Project activities is being implemented in phases. The main project components consist of two LNG Processing Trains with approximately 6.3 MMTPA, Liquefied Propane Gas (LPG) processing facilities etc. Date: 13th July – 10th August, 2015. Time: 8:00am – 4:00pm Daily. All comments received should be forwarded to the Honourable Minister, Federal Ministry of Environment on or before 17th August, 2015.